Brazilianite, sodium aluminum phosphate, is a hard gemstone made up of short prismatic forms. 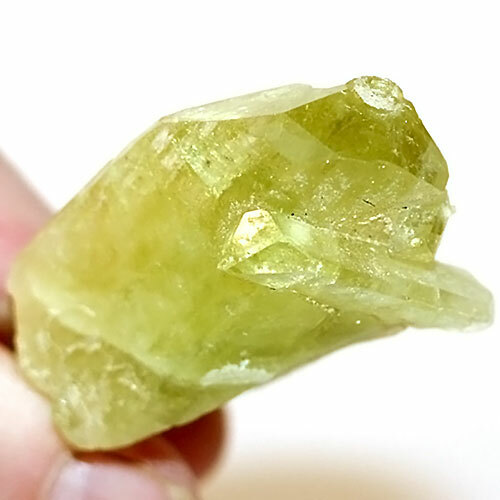 Like several of the other yellow-green gemstones, such as heliodor, apatite, amblygonite, and peridot, it energizes the heart, solar plexus and upper chakras. It is a deeply replenishing stone, offering a good chi boost! Read more about crystals and gemstones in our Crystalpedia.